Arrhythmia is defined as a problem with the rate or rhythm of heartbeat. Which is identified by the heart beats too quickly, too slowly, or with an irregular pattern. When heart beats are faster than normal, is called as tachycardia. When heart beasts are slow than normal, is called as bradycardia. Atrial fibrillation is the most common type arrhythmia recognised by irregular fast heartbeat. Arrhythmia can be occurred in children as well. Factors like smoking, congenital heart disease and stress affects the heartbeats rhythm. In addition, excessive alcohol consumption and obesity are also some of the factors affecting heart rhythm. Arrhythmia is recognised by dyspnea, chest pain, sudden weakness, trouble concentrating, confusion, fatigue, shortness of breath, and palpitations. Increasing life style diseases like diabetes, and obesity would influence the market growth. According to IDF, the number of patients suffering from diabetes is supposed to reach 650 million by 2030. Increasing consumption of alcohol and tobacco, and increased rate of ablation catheter devices globally to boost the arrhythmia market. 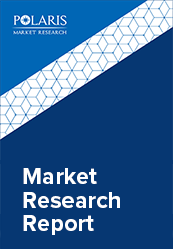 The global arrhythmia market is primarily driven by the factors like rising demand for monitoring devices for the treatment, and increasing obesity rate. According to CDC, obesity is demonstrated to be significant public health problem. Additionally, WHO stated that approximately 1.9 billion adults, were overweight out of which over 650 million were obese. The other factors growing the concerned market are increasing healthcare expenditure, rising adoption of these devices in the emerging markets, extensive product availability and increasing number of chronic diseases due to unhealthy lifestyle would spur the arrhythmia market during the forecast period. However, stringent government policies and existing competition for new developments will hinder the market growth during the forecast period. The global arrhythmia market is segmented on the basis of drugs, end users and geography. Geographically, the global arrhythmia market is categorized into North America, Europe, Asia Pacific, Latin America, and Middle East & Africa. Rising unhealthy lifestyle diseases would boost the global arrhythmia market in North America. Regionally, North America is expected to dominate the global arrhythmia market over forecast period. The primary factors influencing growth of arrhythmia market in this region due to rapid increase in the geriatric population of the region, increasing cardiac disorder incidence. Moreover, rising number of people suffering from atrial fibrillation would also influence the arrhythmia market growth. While, Europe holds the second major share of arrhythmia market during the forecast period owning to the wide range of ongoing technology advancements by the regional players. However, Asia Pacific is expected to dominate the market in the forecast period. Increasing awareness for various cardiovascular disorders, and potential economies with high expenditure on developing healthcare infrastructure would drive the arrhythmia market growth.